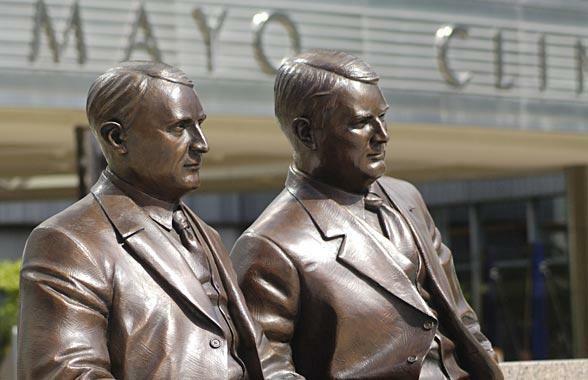 Memorial of Dr. Charles H. Mayo (left) and Dr. William J. Mayo at Statuary Park in Rochester, Minn.
Northwest Health, headquartered in Springdale, has partnered with the Mayo Clinic headquartered in Rochester, Minnesota. The Mayo Clinic is also the subject of a forthcoming Ken Burns documentary to air this autumn on PBS. Mayo descendant Lilli Mayo Weivoda describes the medical legacy of the Mayo family, some of whom have put down roots in the Arkansas Ozarks.